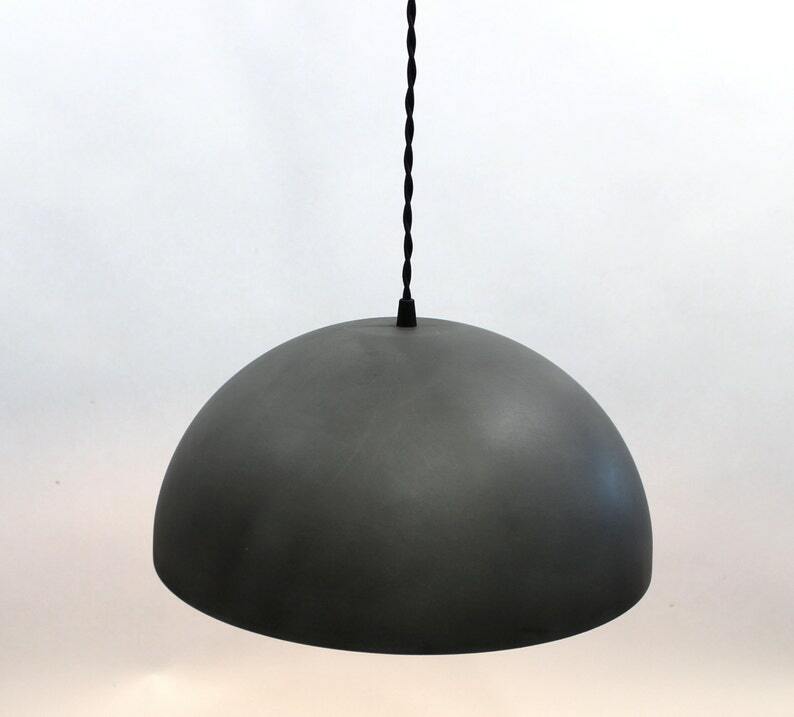 The simple, sleek design of this pendant adds a touch of modern industrial style to any area of your home,and looks especially striking displayed in sets of two or three over a dining table or bar area. Also provides excellent task lighting for a kitchen work space. Pendant light measures 14" by 8" high, Metal with zinc finish. Comes with 6' of antique style twisted cloth covered wire and canopy available hard wire install. New electrical components and wiring. Includes filament style 60 Watt bulb.